Let Exclusivio Wrought Iron Designs design your wrought iron and stainless steel designs. Wrought iron interior single security gate. Decorative wrought iron day beds, crown wall mount and four-seater table with self – contained swivel seats. Steel security gate, driveway gate, pedestrian gate, balustrading and wall lights. Exclusivio Wrought Iron Designs created this purple and white kitchen jam jar rack out of wrought iron. This “feet on” wrought iron foot rail has satisfied another delighted Client. 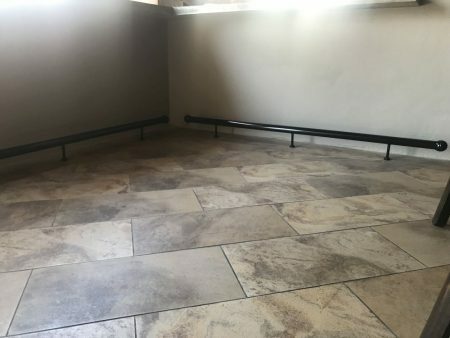 The foot rail will be used extensively by all the clients whilst using the outside “chill area” pub facility. 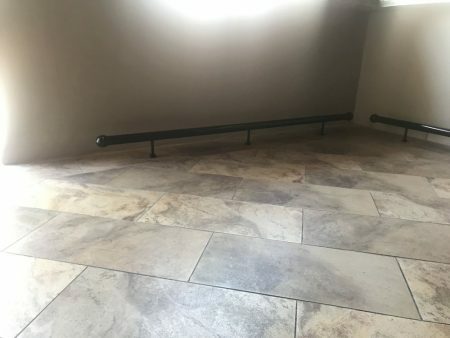 The foot rails measures 2200mm, 2000mm and 1900mm respectively as per Client’s requirements it can, however, be fabricated to suit any desired requirements. 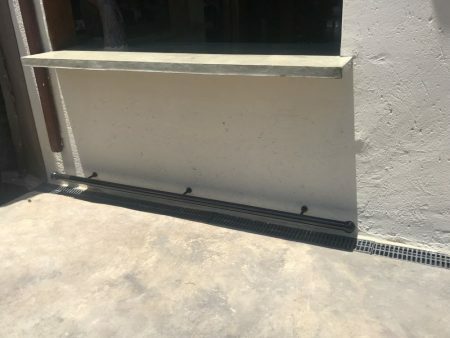 The foot rail is made up of 50mm diameter tubing, the stanchions are 16mm diameter tubing, secured to the floor/wall through mild steel foot/end plates and domed mild steel end plates to add touch to the final assembly. All the components have been practically assembled and finished in a pre-primed matt black coating. Designed | Hosted | Maintained ManageMyWebsite.